This past week I have been sharing all kinds of things on my Facebook page related to Valentine’s Day. While I enjoy any holiday that celebrates the people I love, I have to admit I had an extra special interest in setting that particular theme, for this week. 10 years ago today (Feb. 10) I went on a date with this guy, and it really was love at first sight. Through marriage, and parenting, trials and triumphs, he has been my best friend and the love of my life. A whole decade, since that first date, and I wouldn’t change a thing except I would just go back and marry him that same day, because we are perfect together. I knew it then, and it’s never changed. On our first date, he was driving in from 2 hours away, in the morning, so we were going to go for a walk and then have lunch at a local restaurant. I didn’t know what to expect, if he would be hungry or what time he would arrive, so being a good French-Canadian girl, I put on a big pot of oatmeal – for just in case. For the record, he hated oatmeal but I didn’t know that at the time. I just grew up on the stuff, especially on cold winter mornings to keep you warm and full as you went about your day. It seemed perfectly logical to me! When he arrived at my building, he buzzed my apartment and I went down to greet him. 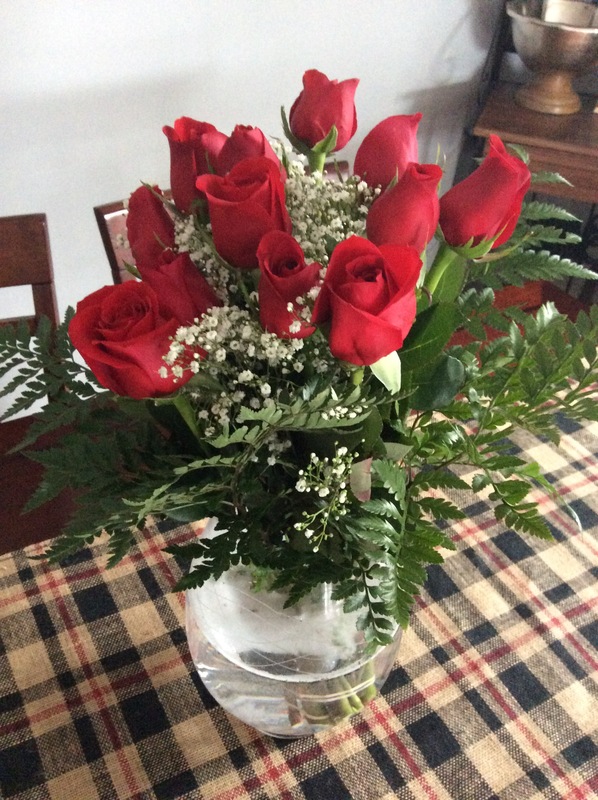 As I got off the elevator I saw him standing there, all black hair and blue eyes, with a dozen red roses held in his hand. It was so romantic, oatmeal suddenly seemed really (really) weird and out of place. Fast forward a decade and things have changed a bit. 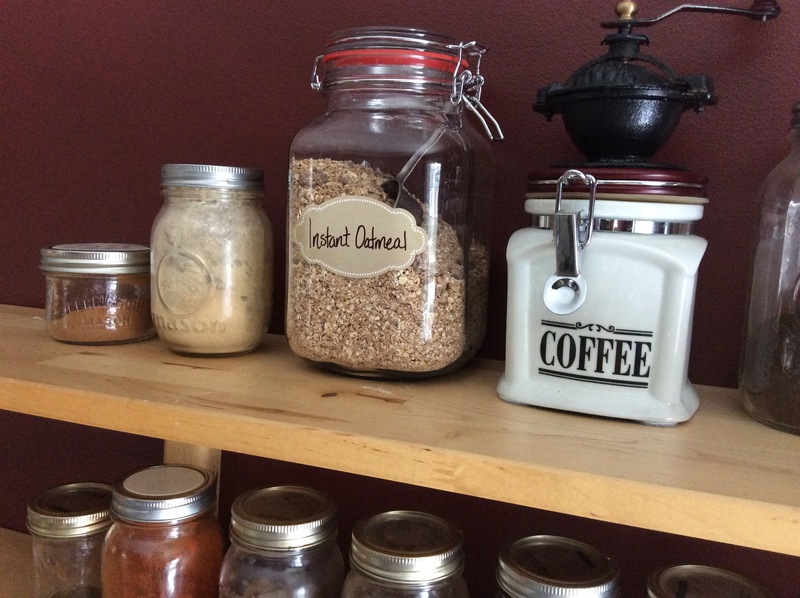 We are (older) healthier people, and I still think oatmeal is the best thing ever on a winter day. I’ve learned how to make it in a way that he enjoys it, and making it “instant” makes a world of difference most mornings. Today he came home from work, and as I came out of the kitchen I saw him all over again. A little older, some grey in the black hair, but still those blue eyes and a dozen red roses in his hand. He still loves me. I told him it was like going back in time, and he laughed and said that this time I wasn’t trying to give him oatmeal. I laughed and produced for him this jar and said “Yes I am!”. It was so ridiculously cute, I can’t even tell you. 10 years of mushy moments, perfectly celebrated right there. And then of course we went out on a date, and he’s still just absolutely the best date of my life. 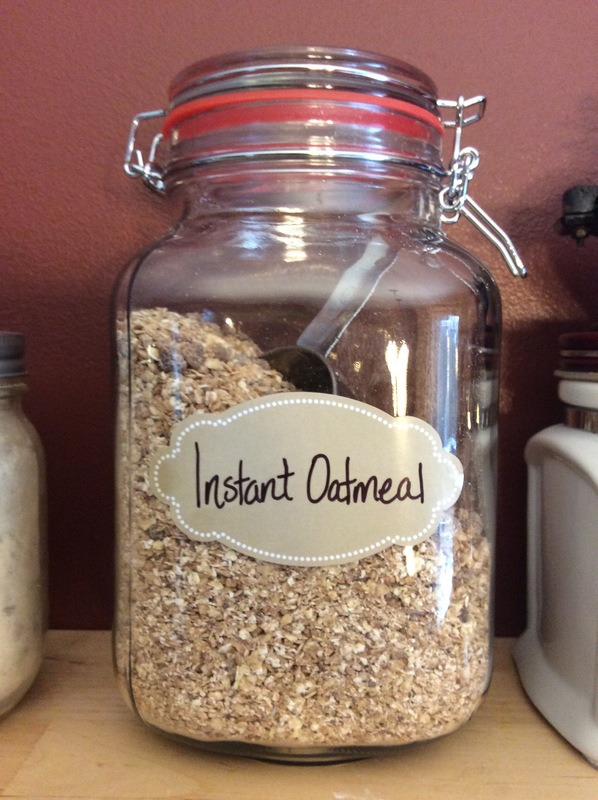 And now, the Instant Oatmeal recipe. 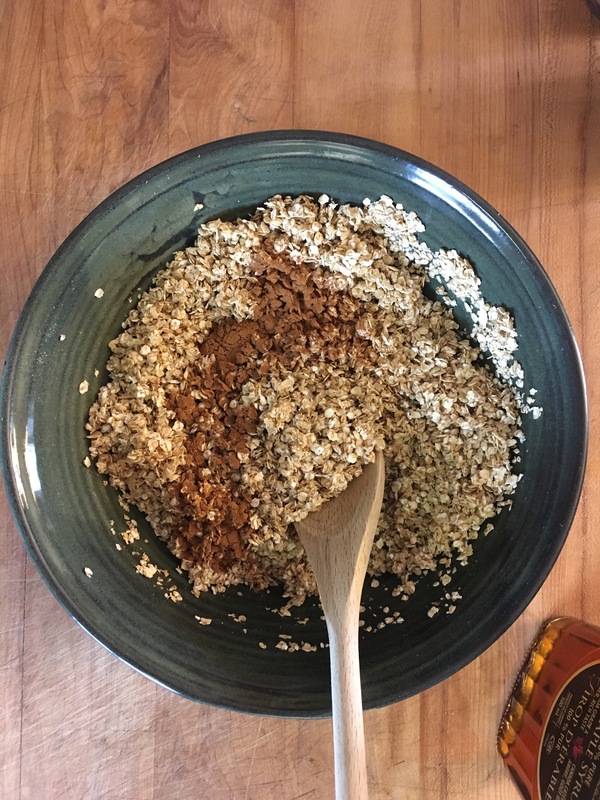 In a large bowl, mix the oats with the cinnamon and maple syrup. Spread the mixture evenly on a large baking sheet lined with parchment. If you don’t have an extra large tray, spread the mixture over two separate pans. Bake for 10 minutes, stir and respread, bake for 5-10 minutes more. You want the oats to be dry and nicely toasted. Remove them from the oven and let them cool to just above room temperature. In a large food processor, add the chia seeds, flax seeds and raisins. Pulse to chop the raisins slightly. 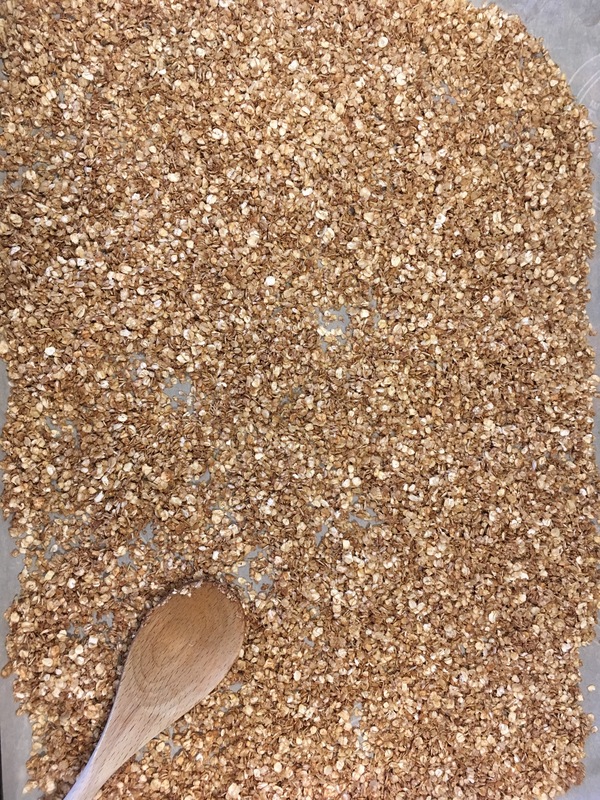 Add the cooled oats and pulse until it resembles a coarse flour. 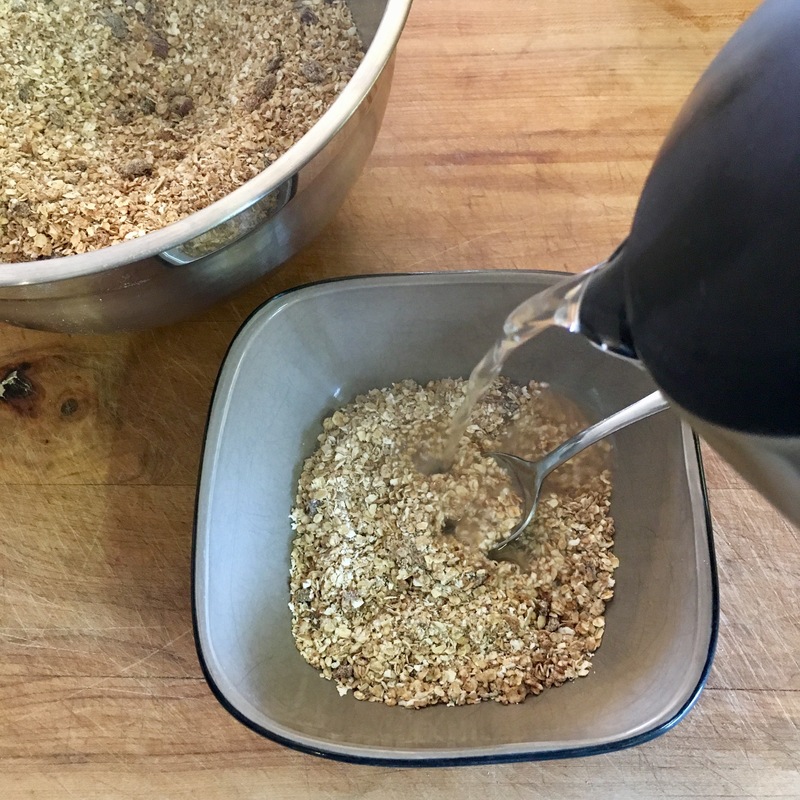 Stir in the palm sugar if you like your instant oats a little sweeter. Brown sugar works too, if you have a sweet tooth! Store in a wide mouth jar with the recommended scoop. Preparing it is easy after that! Boil some water and mix 1 part instant oats to 3 parts boiling water, or to desired thickness. Stir for about a minute, but really, it cooks right away. I think 1/3 cup of the instant oatmeal with 1 cup of boiled water is perfect, with some toasted coconut over top. My next batch I’ll try powdered peanut butter and dried banana chip pieces. Experimenting is part of the fun :).